1 WHAT IS SIDS? Sudden Infant Death Syndrome (SIDS) is the "sudden death of an infant under 1 year of age which remains unexplained after a thorough case investigation, including performance of a... SIDS is ‘the sudden and unexpected death of an infant under one year of age with an onset of a fatal episode occurring during sleep, that remains unexplained after a thorough investigation, including performance of a complete autopsy and review of the circumstances of death and the clinical history’. This volume covers aspects of sudden infant and early childhood death, ranging from issues with parental grief, to the most recent theories of brainstem neurotransmitters. It also deals with the changes that have occurred over time with the definitions of SIDS (sudden infant death syndrome), SUDI (sudden unexpected death in infancy) and SUDIC (sudden unexpected death in childhood).... 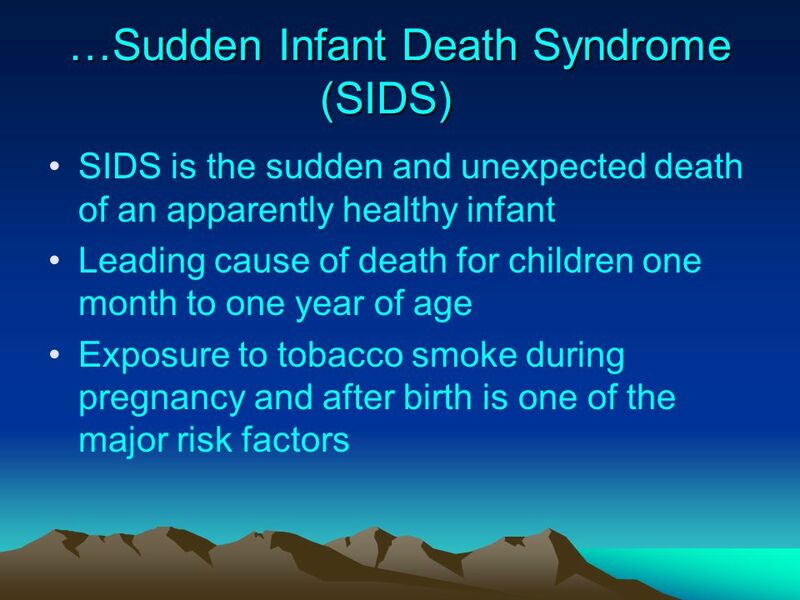 The term 'sudden infant death syndrome' (SIDS) was first used, and an early definition described, at the 2nd International Conference on the Causes of Sudden Death in Infants in 1969. 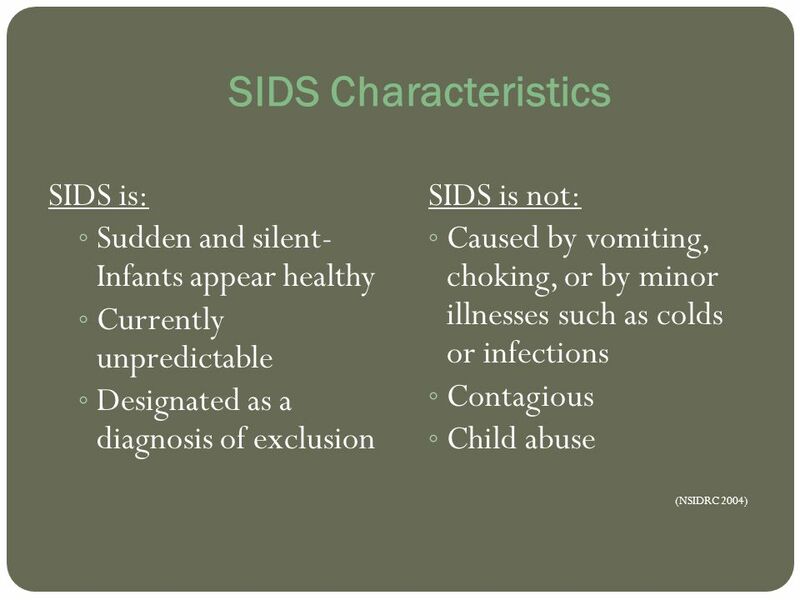 Sudden infant death syndrome (SIDS) is a term that was first proposed in 1969 for a distinctive subgroup of unexpected infant deaths that occur during the postneonatal period with relatively consistent clinical, epidemiological, and pathological features. 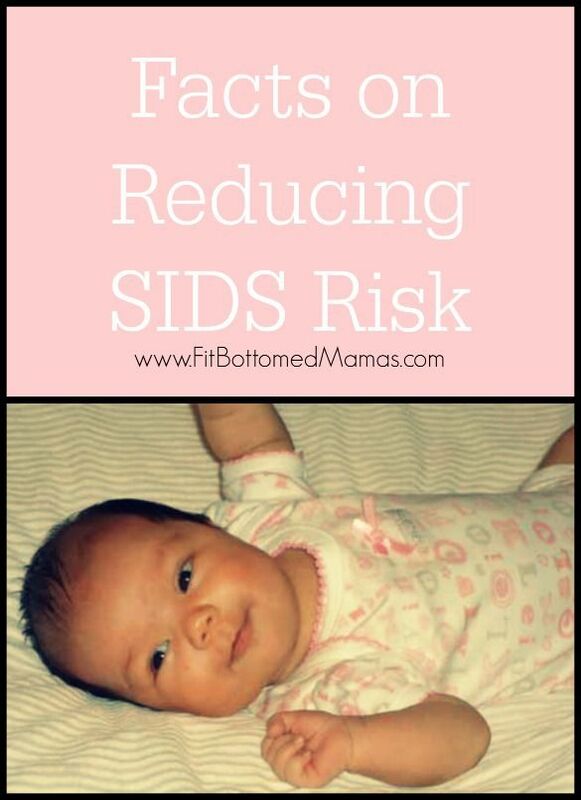 OBJECTIVE: To test the hypothesis that the profile of sudden infant death syndrome (SIDS) changed after the Back-to-Sleep (BTS) campaign initiation, document prevalence and patterns of multiple risks, and determine the age profile of risk factors. 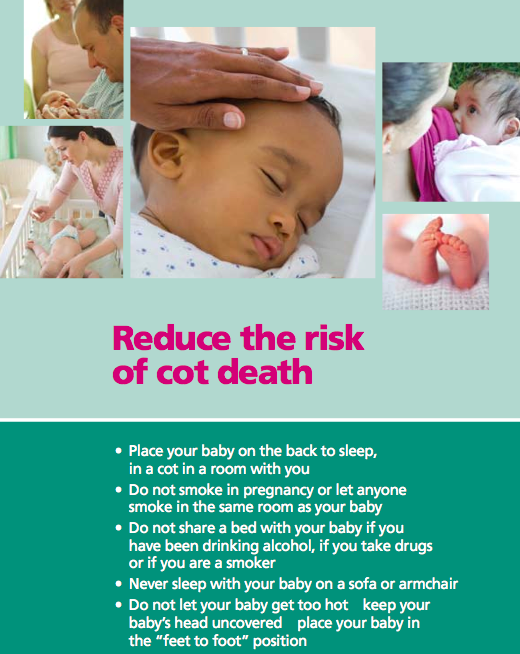 Sudden infant death syndrome (SIDS), also known as cot death or crib death, is the sudden unexplained death of a child less than one year of age. Diagnosis requires that the death remains unexplained even after a thorough autopsy and detailed death scene investigation.